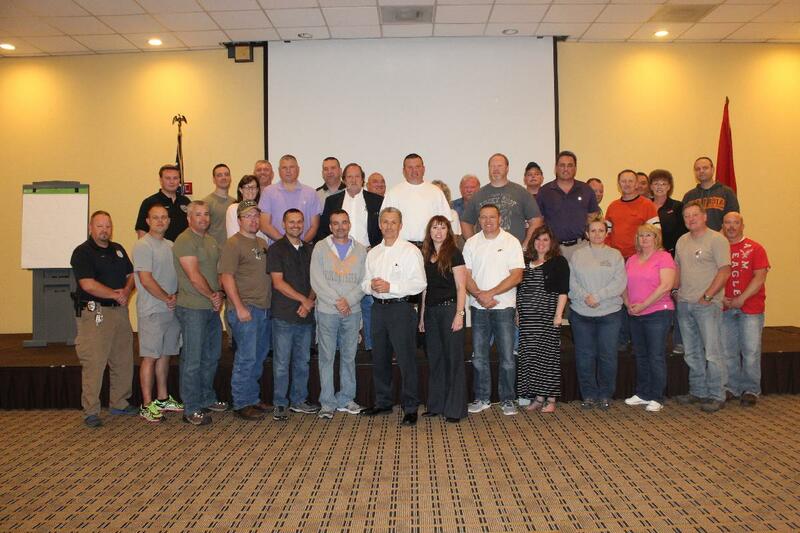 Earlier this week, the Morristown Police Department held their annual Command Staff Training. Supervisors from the MPD as well as those from Hamblen County 911, Walters State Community College and Lincoln Memorial University Campus Police Departments spent three days receiving training on various topics; however, the main focus this year was on leadership. The leadership sessions were instructed by those from other agencies. The training was started with a three hour session of “Managing Social Processes and Making Decisions”, instructed by Assistant Chief Robin Smith from the Oak Ridge Police Department. His focus was on building morale with your team. There was also a session on Active Shooters where supervisors watched the FBI video, “The Coming Storm” and discussed supervisory roles in the event this happened in our area. The City’s Risk Management also spoke to supervisors regarding Police Liability Risks and what supervisors can do and be aware of to keep the MPD’s liability down. The last leadership session was instructed by Dr. Jeff Lindsey from the University of Tennessee Law Enforcement Innovation Center. Dr. Lindsey is retired from the FBI and is former military. His message was “Increasing Your Impact, Every Officer is a Leader.” Different types of leaders, different types and levels of power and perception were discussed; teachings from the book by John Maxwell, The 360 Degree Leader were also covered. Other topics included were AMBER Alert, Dealing with Mentally Ill and Disabled, Emergency Vehicle Operations, and the results from the National Citizen’s Survey.